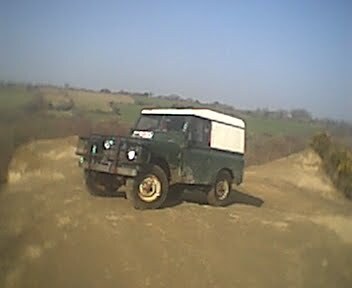 This page is all about my land rover from around the time I bought it in 2000, or 1999 some time around then I think. I bought a hard top for it thinking that it would be warmer and keep the rain out better. 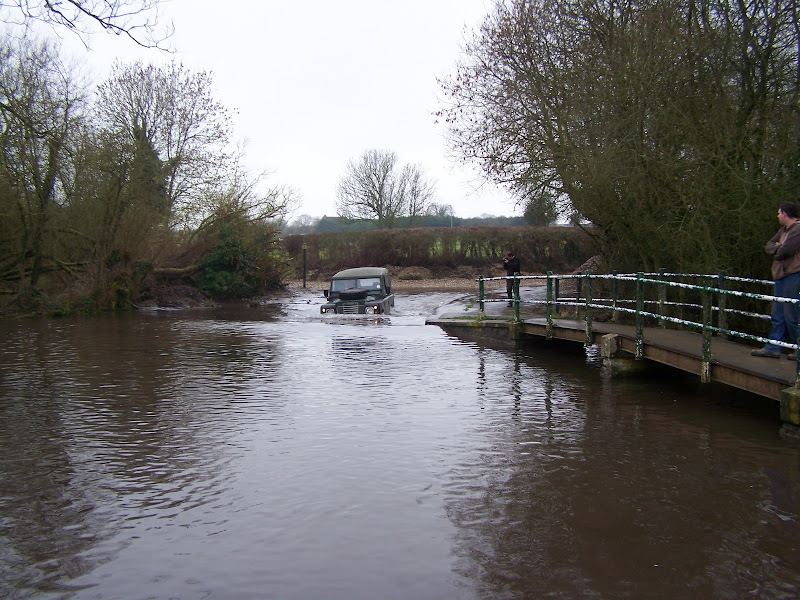 Well that failed, I soon bought another soft top for it, that was much more water tight and probably warmer. 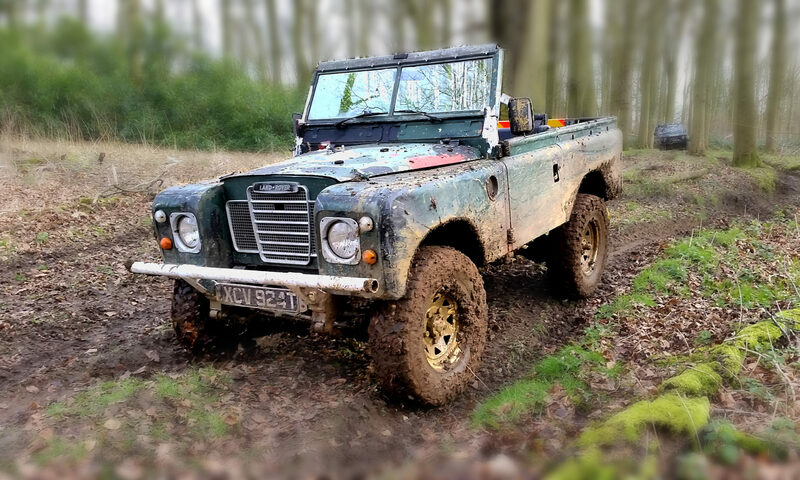 I spent a lot of time off road and had a lot of fun in the first year of ownership. 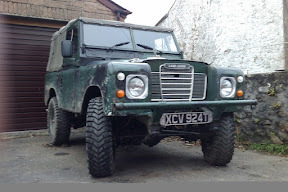 I get another set of tyres for it and also the blue soft top which was second hand, I tried to water proof it with tent water proofer. 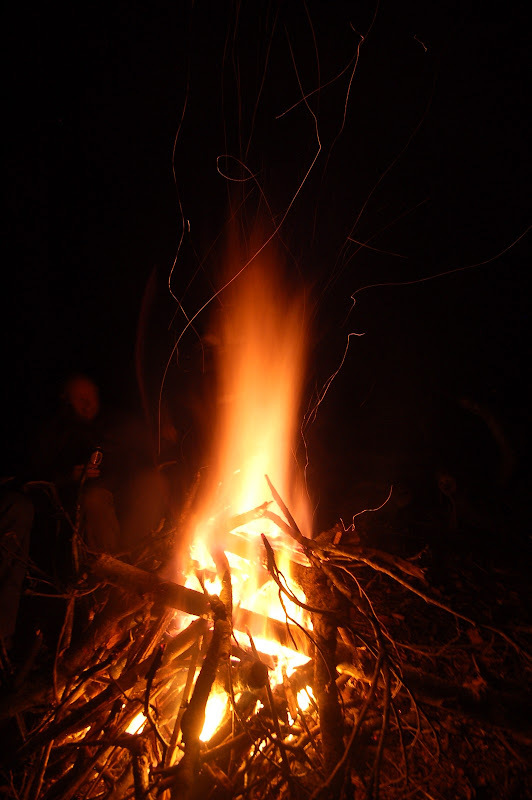 This worked well for a while, but being outside in the elements everyday all day took it tole. 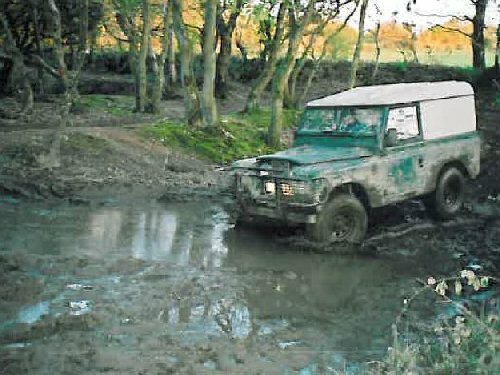 Going through a good mud hole, used to regularly get stuck in it. Great fun! 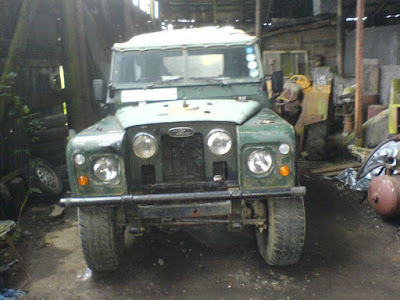 The Land Rover suffered a lot of damage during it’s first year and then spent a year off the road while I worked out what to do with it, at the time I was running a 110 V8 Land Rover. 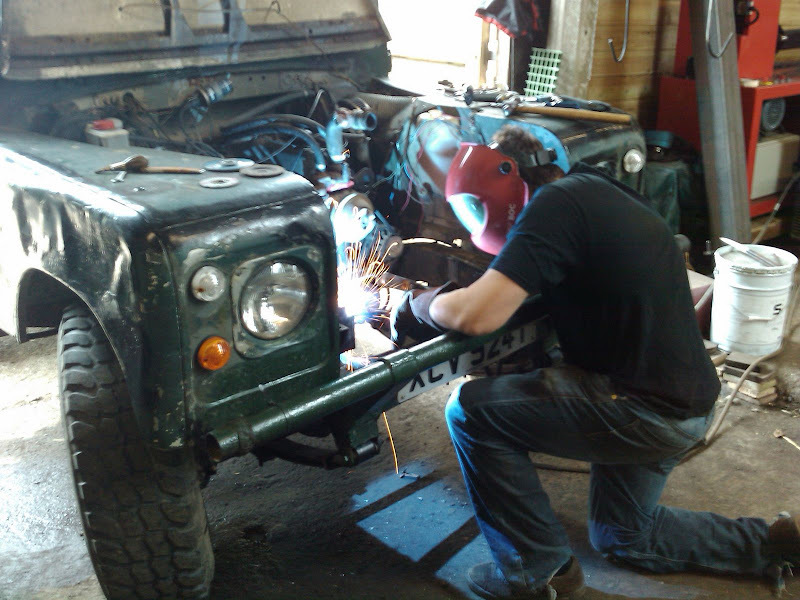 During that time I fitted a roll cage. 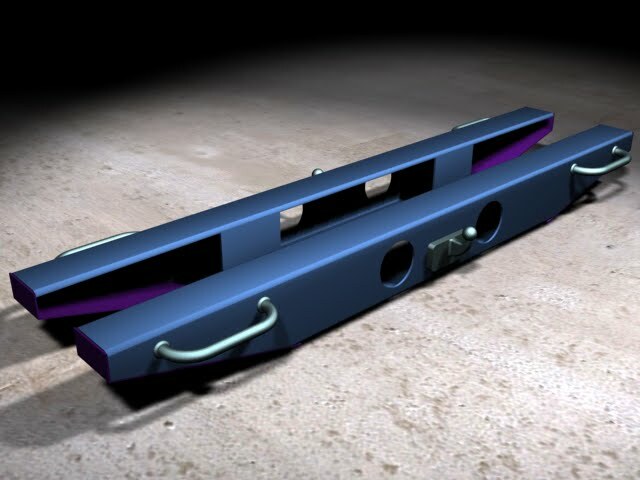 Also the rear cross member had rotted out, so i designed a new one in AutoCAD and rendered it in 3DS Max. It was made from a piece of 6″x4″ box section, with the ends cut to look like the original, the grab handles are solid 1/2″ bar bent and welded into the box section. 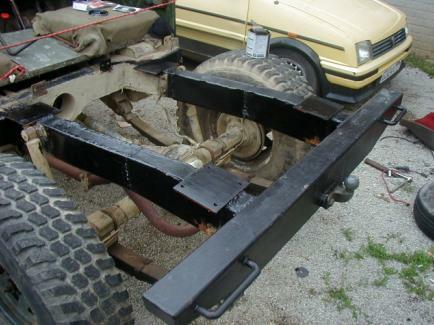 We plated up the back of the tow hitch part of the box section for added strength. Having done all this work, the truck only moved home to Par where I moved to. It lived in a garage for the next year or so. 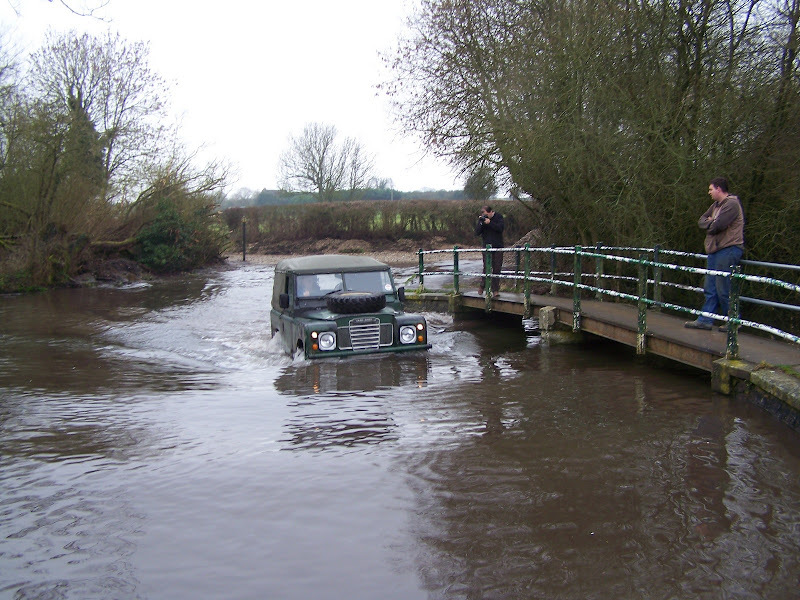 I think this what taken on the day that the Land Rover left Threemilestone for Par. 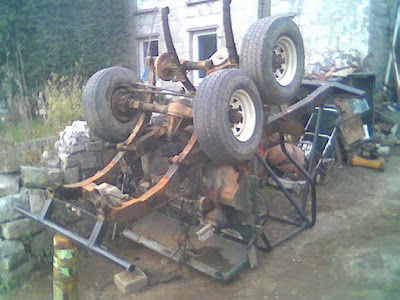 The next time it moved, it was to Alan’s front drive where we did a lot of work on the chassis. 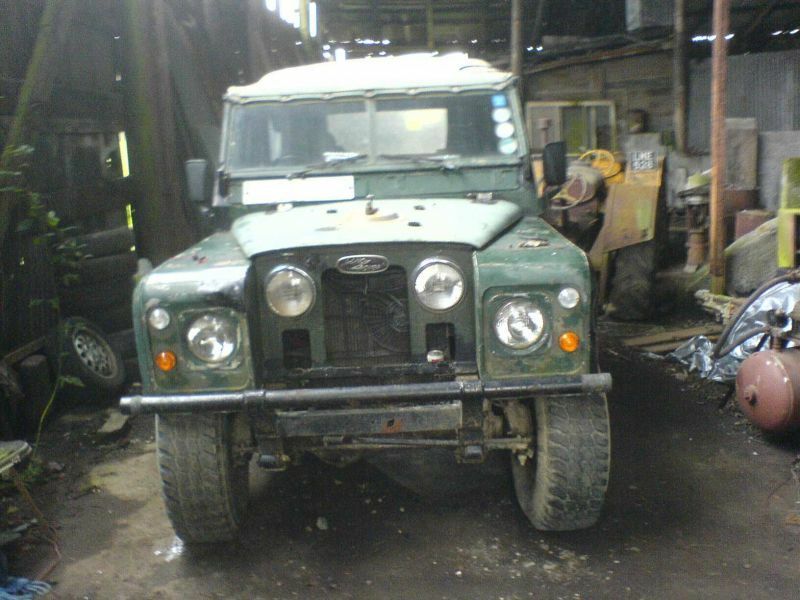 Patched it up through out over a period of about two or three months in early 2005.
it got a full re-build here. It had all new breaks, drums, pads, cylinders, new parabolic springs, new +2″ dampers, new glass in the windscreen and various other bits. 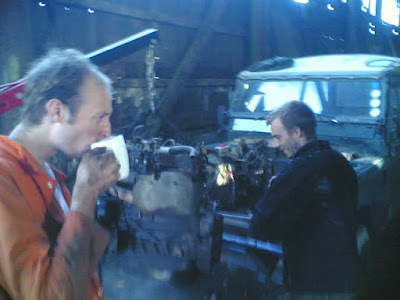 Replacing the engine was hard work, but not for me.. 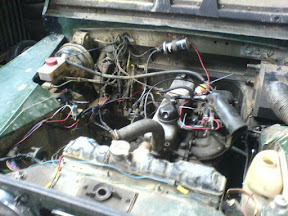 I swapped the original 2.25L petrol 5mb engine with Zenith carb out for a 2.5L 5mb engine from a 90 or a 110 early 90’s truck. It didn’t run especially well, maybe the old carb was worn out. The new SU carb fixed these issues. The fuel economy is very poor at the moment. 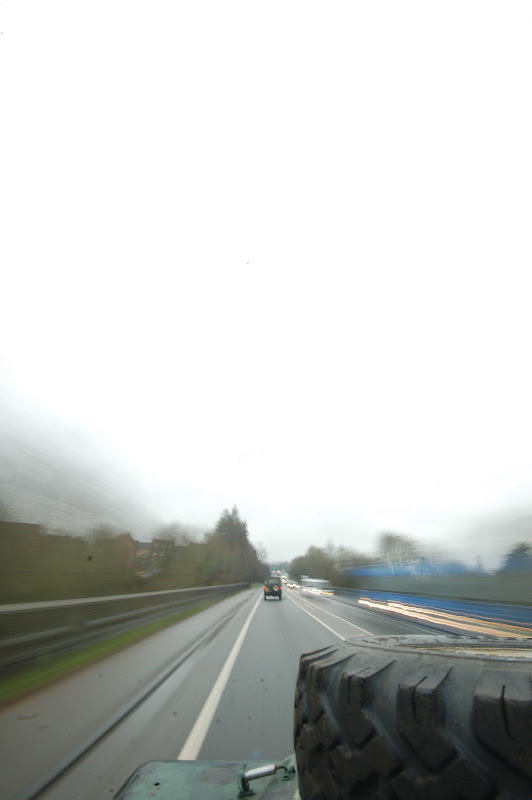 During the Salisbury trip I averaged 15mpg (19L per 100km). This is not very good bearing in mind that my friends V8 did about 1mpg. A modern tdi should achieve about 25 to 30mpg. Fuel economy and emissions is a great subject for discussion, this is some research that I did into it. It was a blog entry that I did after I looked into it. I went to the Mabe Shindig on the 21st January 2007 with my Land Rover, I get a go on the Tractor balancing rig, I wasn’t very good but it was great good. Driving was a guy who had a Tractor there. 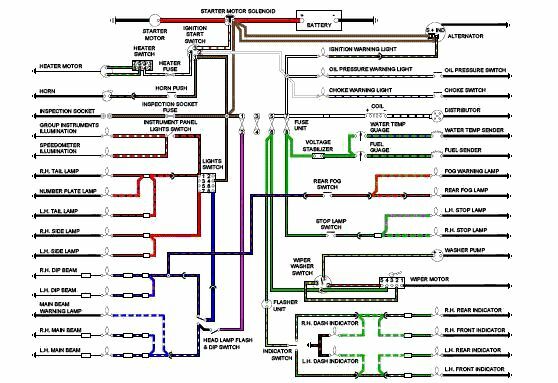 I decided to update the wiring diagram for my Land Rover. It is now of cause out of date and wrong, one day I’ll update it again. I removed the cam and sent it off to be re-ground to get more power, so higher lift and longer valve opening. 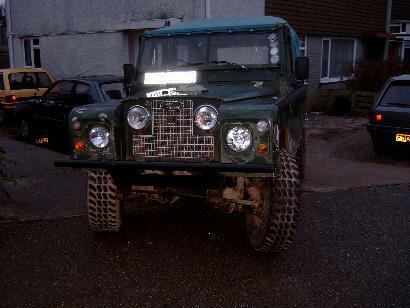 At this stage it got a brand new/reconditioned four core radiator as the old one was pretty poor. This one came from Newquay radiators, i took my old one in and returned with this one, someone had brought theirs in for re-coring and never picked it up, so when I took mine in, they just exchanged it. I also removed the fixed fan from the water pump and fitted an electric fan with a thermostat. Over drives are noisy and tend to be to weak, a friend of mine had one, but the bearings failed and he removed it never to be re-fitted. Higher ratio diffs would give me a massive boost, but of cause low range will suffer going from a 4.7 to a 3.9. Hence the last option, which would give me a 0.83:1 rather than the 1:1 of the old series box. I also had to go over to range rover diffs as the gearbox output speed is actually lower and so needs to be brought up by the diffs more. 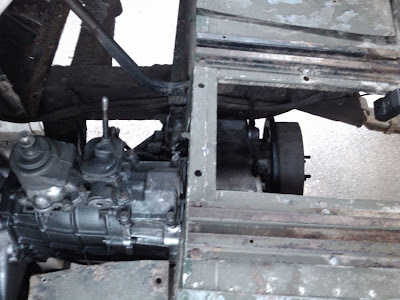 The other issue is that the LT230 transfer box is a constant 4 wheel drive box, so the center diff only locks and unlocks, where as the old series box engaged and disengaged the front axle. 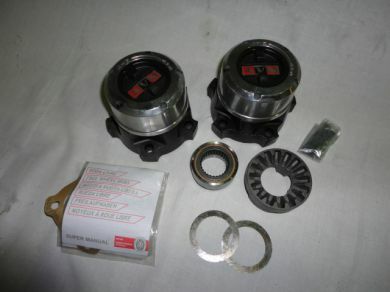 I bought a part from Ashcroft Transmissions which turns the center diff into a engage/disengage for the front axle. Since I still have standard axles I would have been unable to run constant four wheel drive. 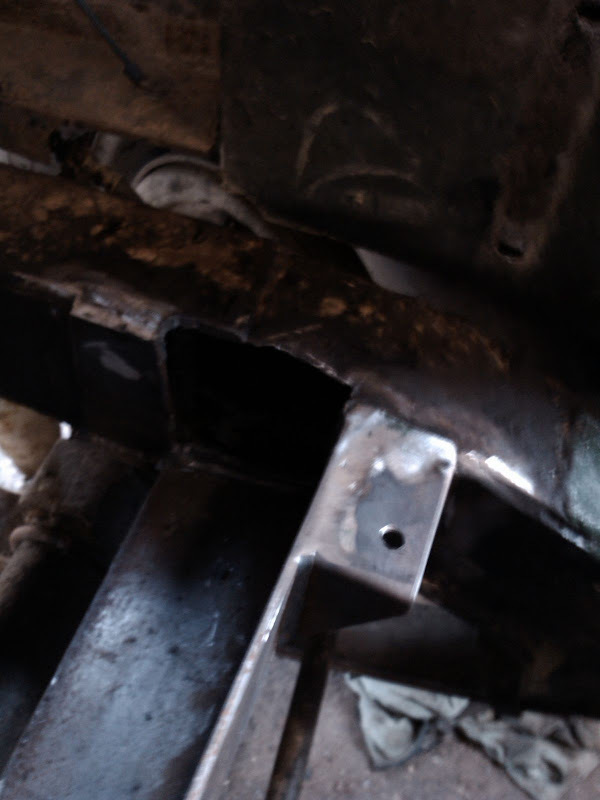 Having fitted the kit to the gearbox, it was just a case of working out how to go about fitting the new longer gearbox into the existing space. I chose to move the engine forward about 120mm, this meant moving the radiator forward about 100mm, into the front cross member. 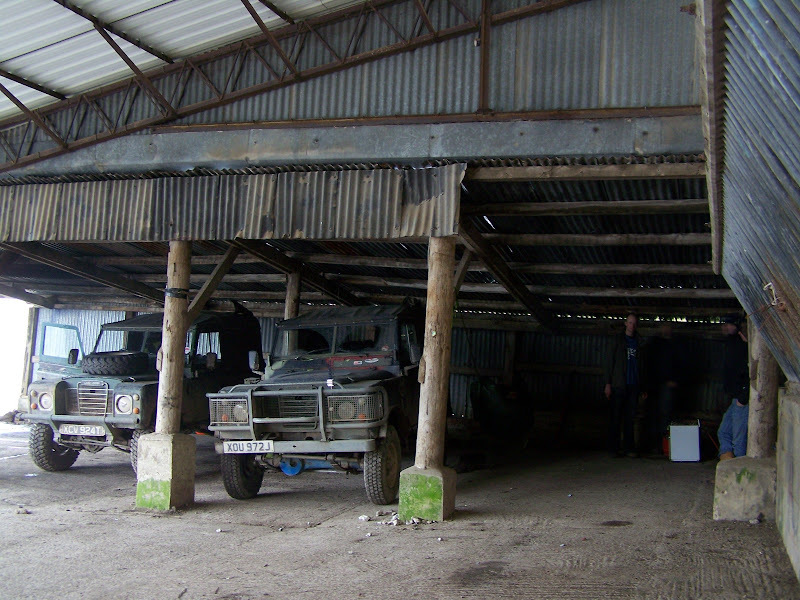 the outward look of the vehicle is unchanged. The grill is still in the same place, I had to cut away a lot of the front panel and mount the radiator further to the left then is normal by about 20mm, hence the notch in the chassis leg. I fitted the gearbox in the early part of 2010. 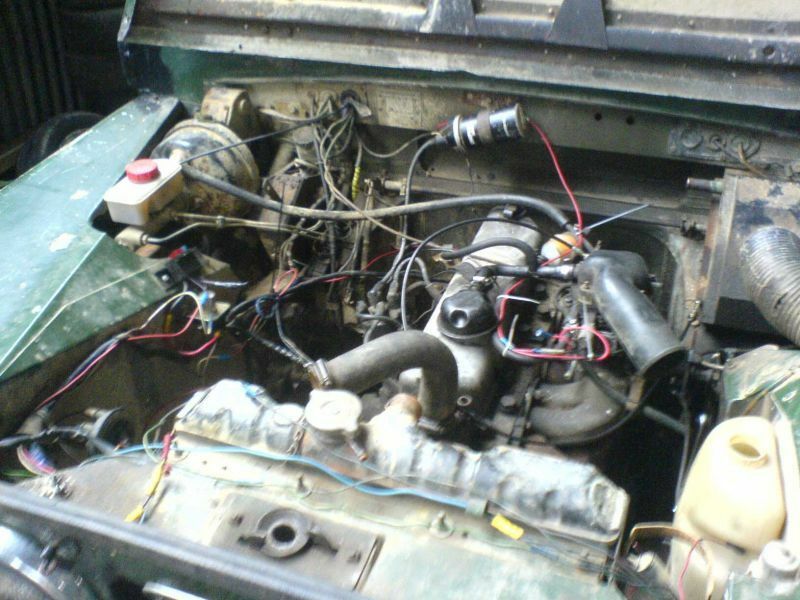 LT77 and LT230 in a Series 3 Land Rover, the transmission tunnel no longer fits at all. The rear drive flange is in pretty much the same location as it was when it had the original box in it. I did this to keep the rear propshaft the same length. Swinging the engine in, with the newly insulated intake manifold and SU carb. 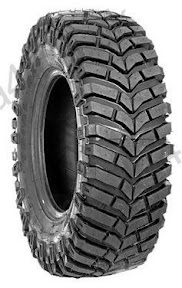 In November 2010 I changed the tyre’s from the second hand General Grabbers that I had been running for a few years, all the tread blocks were rounded off so traction was poor. I got a bonus from work and of cause blew the lot on a set of four tyres that I’d had my eye on for some time. 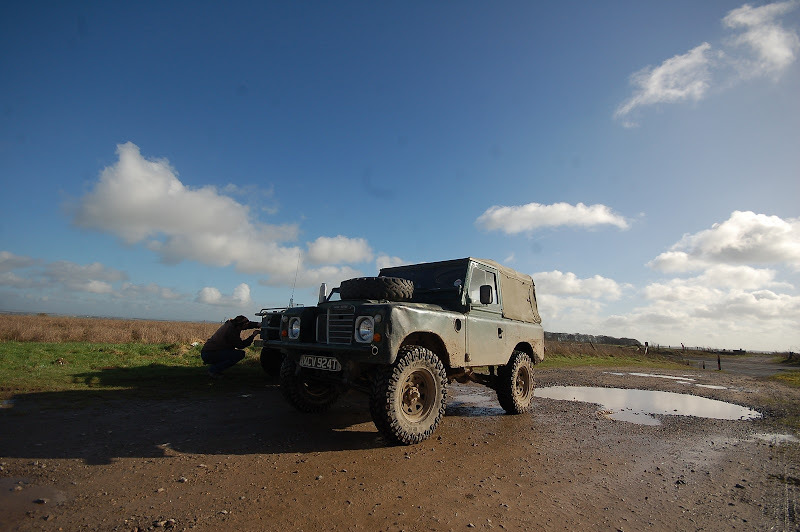 I wanted to get a tyre that didn’t look completely out of place on a series land rover. I.e. I wasn’t about to go and get a set of Special Tracks or similar. 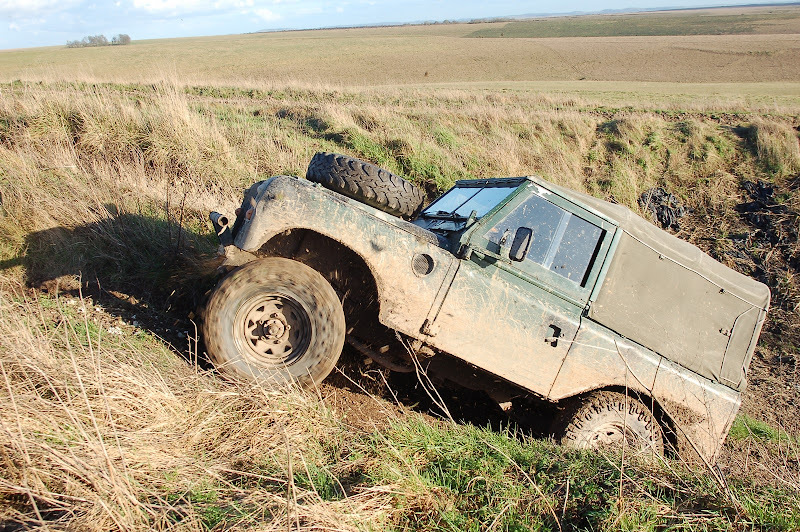 I did however want something would function well off road. I found a tyre that I felt was a compromise, a Recip Mud tyre. Recip have gone bust, but a chap on ebay supplied me with four tyres. The only let down these Recips is that they’re directional, so technically I would need two wheels with tyres fitted, so that no matter which got a flat I’d have replacement. However, I shall probably just get a general tyre which is good enough to drive on the road with, until I can get to a tyre place and have the right tyre put onto my original rim. 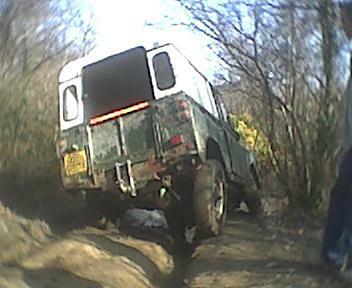 During this tyre search I wondered what size of tyre to fit. 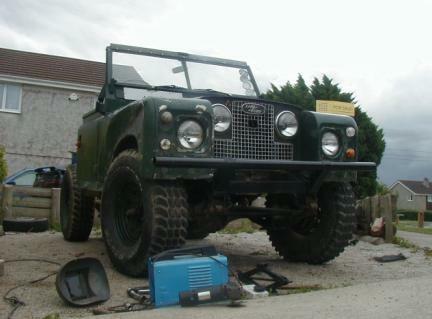 I have a friend who always talkeds about fitting a set of 900’s to a series land rover. So I did what i do best, made a drawing of the tyre sizes. Also available is the PDF and the (right click, “save link as”) AutoCAD .dwg file of the above drawing. Shortly after I got the tyres fitted, in February 2011 we went to Salisbury plane for my stag do, Alan took his V8 and I took mine. 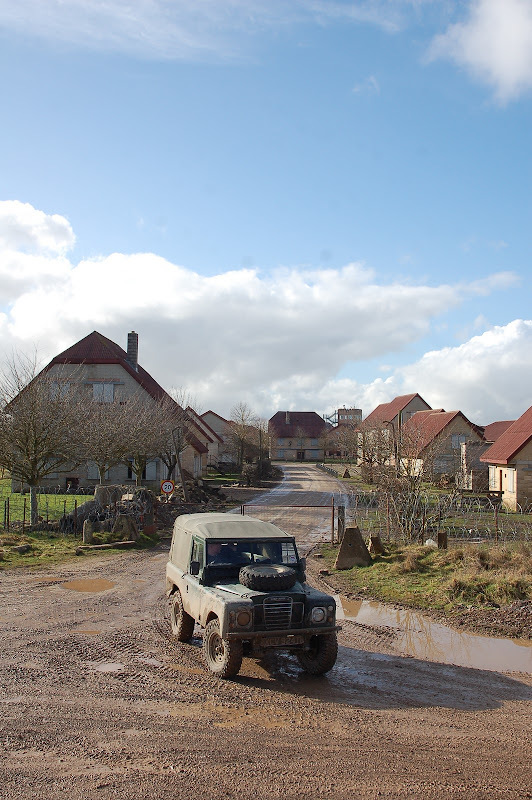 Salisbury trip pictures are here. 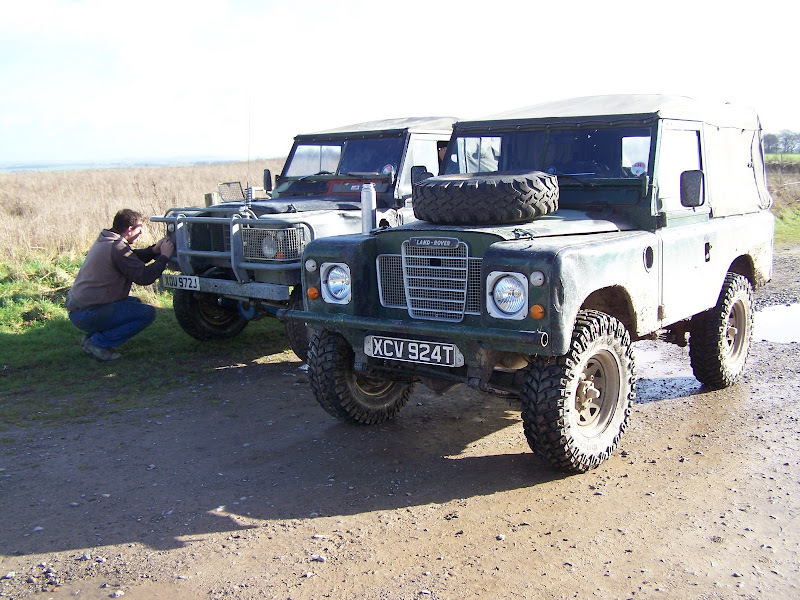 When I returned from Canada for our wedding, Alan MoT’d my Land Rover for me so i could cruse around in it for the two weeks while I was home. Does Hannah fully understand the other love of your life Brendan? 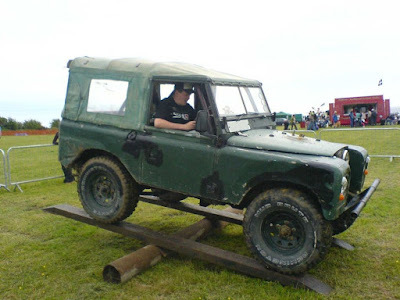 Ah bren bit slow to read your blog about the land rover. those pictures bring back a thousand memorys. 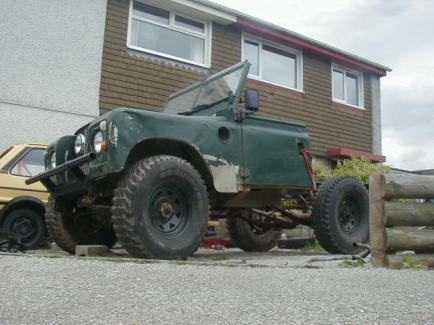 You would not belive the number of people that say to me ” Do you live in little treviscoe where there was once a landrover on its back with the wheels touching ?” it reminds me of a dog having its belly rubbed. take care bruv nice one.